Packed with proven trial techniques, this accessible manual will help you prepare for every evidentiary challenge you may face at trial. 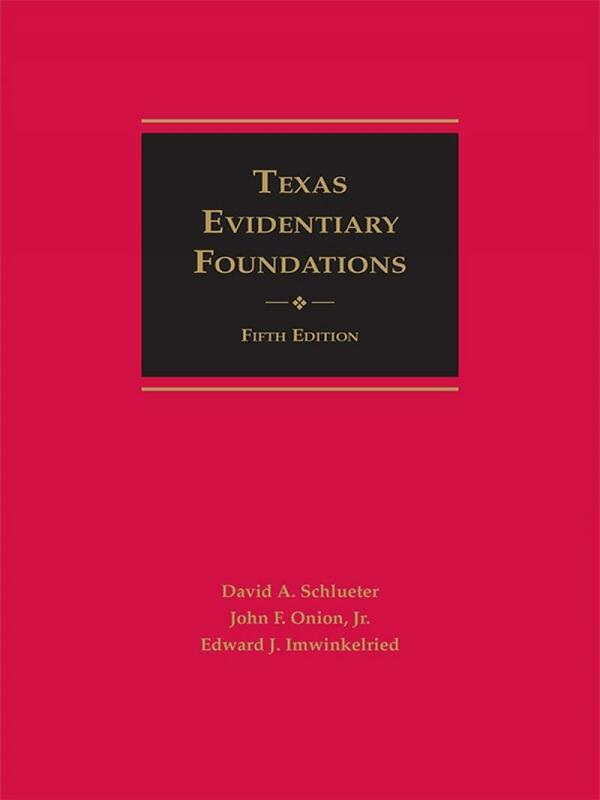 Texas Evidentiary Foundations is the ideal one-volume guide for overcoming common, and not-so-common, evidentiary problems in the courtroom. 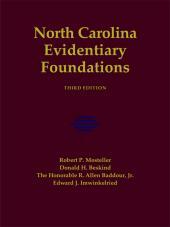 This accessible and popular manual shows you how to frame predicate questions to gain admission or exclusion of specific types of evidence and includes a list of the foundational elements and examples of specific lines of questioning for establishing these elements. 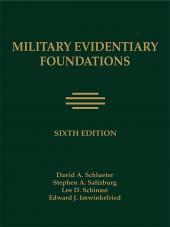 Each foundation is accompanied by a clear explanation of the supporting principles of Texas evidence law. 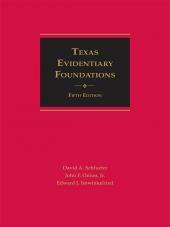 Packed with proven trial techniques, Texas Evidentiary Foundations will help you prepare for every evidentiary challenge you may face at trial. Hon. John F. Onion, Jr. has a distinguished career in the Texas judiciary spanning almost five decades. During his legal career he has served as an Assistant District Attorney, Justice of the Peace, Judge of the 175th District Court in Bexar County, a Judge on the Texas Court of Criminal Appeals and the Presiding Judge of that same court for 18 years. Since 1989 he has sat by designation on various Texas Courts of Appeals. Since 1966, he has authored the Interpretive Commentaries for the Texas Code of Criminal Procedure. 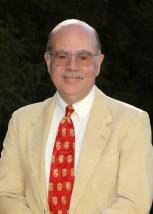 David A. Schlueter is the Hardy Professor of Law at St. Mary's University School of Law in San Antonio, Texas. Professor Schlueter teaches evidence, trial advocacy, and constitutional law, and has served as both criminal trial and appellate counsel. 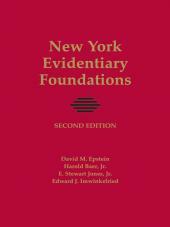 He has authored, co-authored, or edited 12 books on procedure and evidence, including the two volume work, FEDERAL EVIDENCE TACTICS (with Imwinkelried). His writings have been cited frequently by state and federal courts, including the Supreme Court of the United States, and legal commentators. Before joining the faculty at St. Mary's in 1983, he served on active duty as an Army JAGC and for two years as legal counsel for the Supreme Court of the United States. He is a fellow in the American Law Institute and a Life Fellow in the American Bar Foundation. From 1988 until 2005, he served as the Reporter for the Federal Rules of Criminal Procedure Advisory Committee.